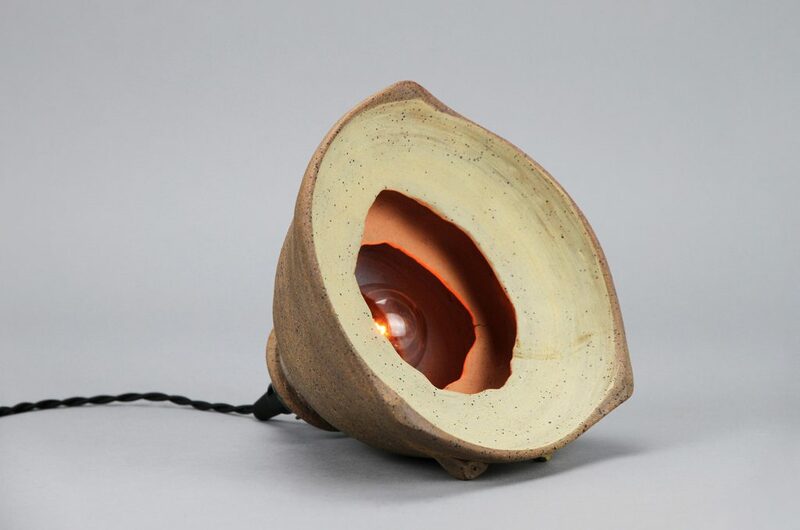 The Asthenosphere Table Lamp is one-of-a-kind. Its minimal exterior has a thin clear glaze that allows the natural beauty of the ceramic to show. The interior has three thin layers that house hollow cavities which create multiple layers of light and shadow. The black medium socket gives one freedom to experiment with various 60W bulb types for dramatically different effects. It has a black French twist cord with a thumb dimmer switch. The Asthenosphere is a great accent piece on a desk, side table or bookshelf acting as a sculpture and lamp.